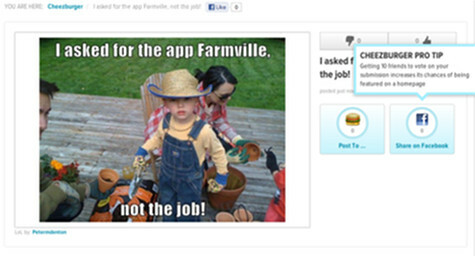 Cheezburger Builder has earned a loyal online following for its ease in turning online photos into humorous memes. 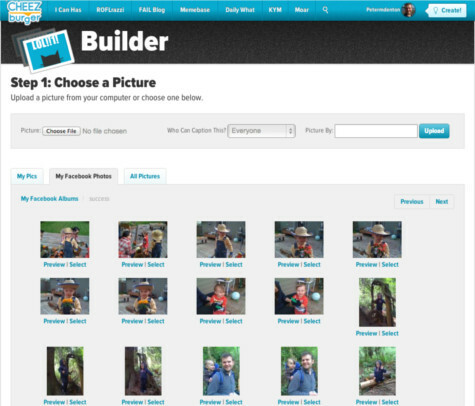 Now, the cool tool has been integrated further into Facebook to let the social media network’s users instantly connect their accounts to Cheezburger Builder to let their friends share in the photo fun. AllFacebook.com posted about this digital addition to the Facebook’s ever-increasing features. 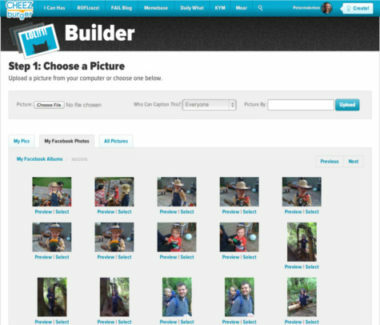 With more than 300,000 Facebook connections, Cheezburger Builder’s stronger integration into the social network was a natural fit. Now that the network’s spirit of social sharing has been extended into the photo feature, it’s possible for users to easily access their photo folders without having to upload individual photos, as well as to tag friends and get their help in crafting crazy captions. MDG Advertising, a full-service advertising agency with offices in Boca Raton and New York, NY, is one of Florida’s top integrated marketing agencies. Our 360° approach uses just the right mix of marketing to reach your advertising goals. While some industries may fare better in print and others online, we strive to create a balanced approach, where traditional, social media, and digital marketing efforts support each other and your message is tailored to the medium. To learn more about memes and the latest trends in social media, contact MDG Advertising.